By CORRESPONDENT, NAIROBI, Kenya, Aug 6 – Sanlam Kenya has appointed Patrick Tumbo as Group Chief Executive officer after resigning from Jubilee Insurance in June. Tumbo takes over from Mugo Kibati who left the company to pursue other interests. George Kuria, Sanlam General Insurance Chief Executive Officer has been the acting GCEO for the past six months. Tumbo joins Sanlam Kenya Group from Jubilee Insurance, where he was the CEO, Kenya. 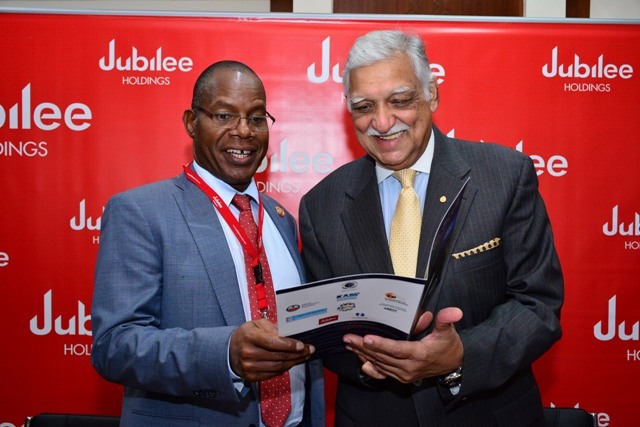 He also served the Jubilee Group technical head on Insurance and Reinsurance and in the Group’s Subsidiary boards. At Jubilee, he was credited with growing the Kenya business from Sh4 billion to Sh24 billion during his tenure. He was also instrumental in driving business growth through technology adoption and widening the client base by venturing into new untapped markets in the East African region. Announcing the appointment, Sanlam board chairman Dr. John Simba said Tumbo will be assuming overall leadership for Sanlam Kenya PLC and the respective group subsidiary business companies. “We have secured a seasoned business leader who we also believe is the right fit to steer the Sanlam Group to new heights. This is part of our corporate strategy to position the group as a formidable non-bank financial services player in Kenya,” said Dr. Simba. On his part, Tumbo said he is looking forward to joining the Sanlam team and implementing a new growth strategy. “Sanlam has carved a niche for itself as a non-banking financial services group with a vision and strategic imperatives that are pushing the brand into a new growth plane; I am happy to join at this point in time and contribute to the growth of the business,” said Mr. Tumbo. Mr. Tumbo is a member of the Society of Fellows (UK) and is an alumnus of the University of Nairobi. He holds an MBA in Strategic Management, Marketing and International Business and a Bachelor of Commerce (Insurance option) from the same university.